Happy Saturday! Today I've got some swatches of Chanel Frisson from the Roses Ultimes collection, and also a quick gradient. I got Frisson for my last Birthday from my best friend, and she chose well! It's a soft, pale pink packed with little shimmering gold flakes. I used 3 coats for full opacity. It's so understated and soft, but still has a little sparkle element. So pretty! I used H&M Golden Treasure and a make-up sponge to create the gradient. The gold and pink combination may be an acquired taste! Oh now that is PRETTY! So cute. Oh that's definitely my style!!!! I love ombre and this combination is just perfect for my 80s and girly style - thank's for the idea! I only wore it for a few minutes because I was swatching! I've never worn a Chanel for any length of time so I can't really say. I'd try different top coats to see if it helps! The best top coat is a gel finish, helps protect it and keeps it from chipping. I love this polish on it's own, and I love it with the gold gradient! 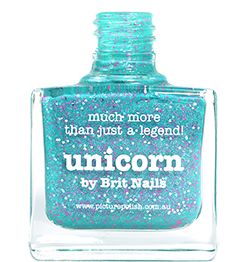 I think this polish just landed the top spot on my wish list! Oh my, this polish is incredibly beautiful! Lovely gradient! Beautiful gradient, the colours go so well together! such a beautiful and delicate color. the gold works perfectly with it! The polish with or without the gold gradient still looks beautiful. It's such a sweet pink too. Such a beautiful shade on its own but your gradient just makes it amazing! so perfect! I LOVE pink and gold together! You wear it well!